My husband and I were engaged in February and married in May. With that short 3 months to plan a wedding I decided to take on making my own invites. We were going to have a casual wedding so I thought it would be fun to create colorful invites with different papers. I ended up creating 10 different designs of the same card. 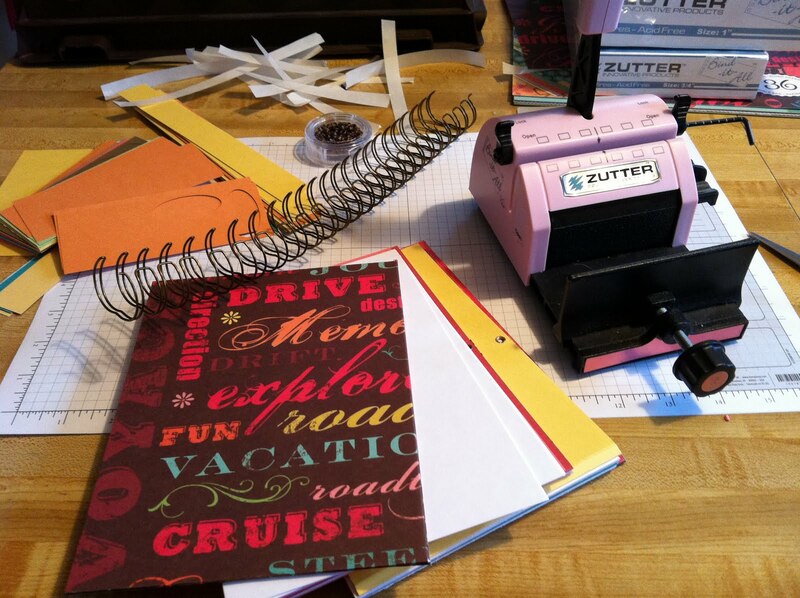 I loved making the invitations and ended up having a few girls nights to help me finish them. This ended up leading to whole series of homemade items for the wedding. I created “Family Tree” centerpieces for the reception. I got the idea from The Knot but put my own twist on it. 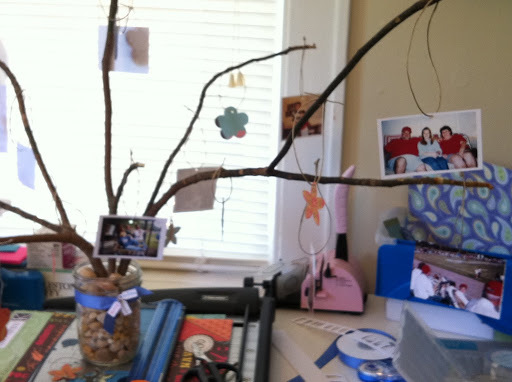 We put photos from both of our families on magnolia branches in mason jars with river rock. I also created a gift/memory book. I used my Bind-it-All for the book and it turned out great! 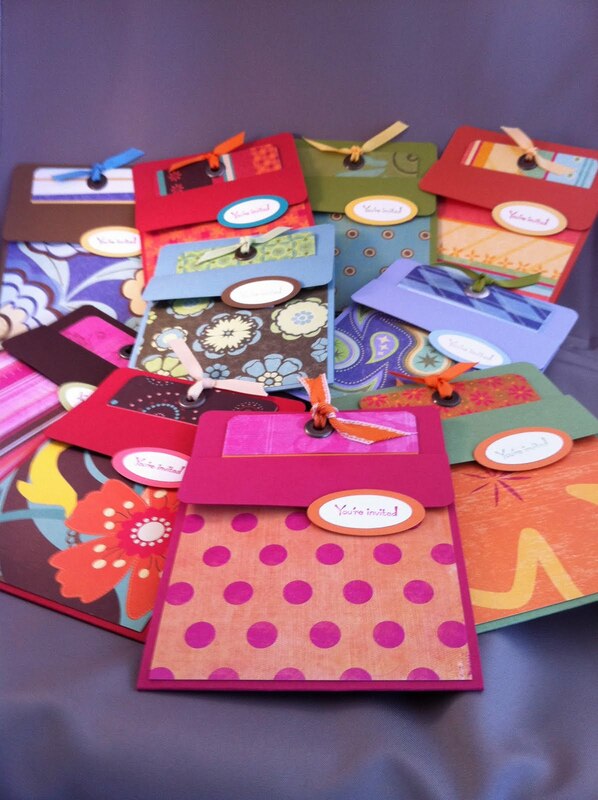 Finally to keep in line with the color scheme I created “Thank you” postcards to send out for gifts. The biggest compliment I received from the wedding is that it was completely us. 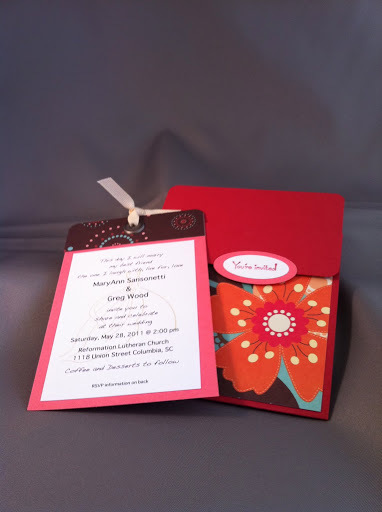 From the invitations to the service to the reception. It was all about family fun and CHOCOLATE. We decided to not have a wedding cake… we got a chocolate fountain instead.